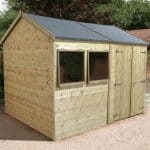 This is a popular affordable choice for all gardeners and is constructed from long lasting, hard wearing wood with overlap cladding. 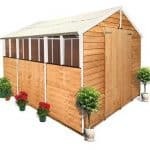 Guaranteeing strength and durability it will be a garden staple for many years. 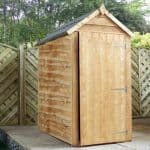 It is not as weather resistant as tongue & groove cladding yet is still a great solution for low intensity garden equipment and outdoor toys. 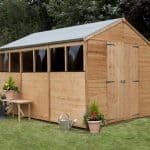 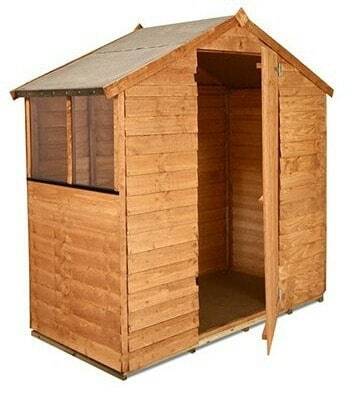 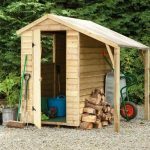 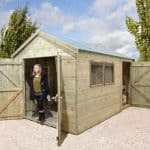 Of rigid structure and with feature windows for good interior light and a large front door, it’s a remarkable economy shed which is ideal for new gardeners.